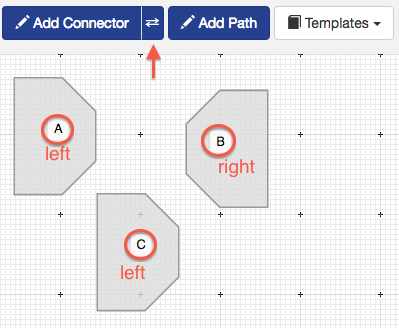 If the Connector Orientation button has got two opposed arrows, connectors will be added alternately left facing then right facing and so on. If the button arrow is to the left, all added connectors will be left facing. 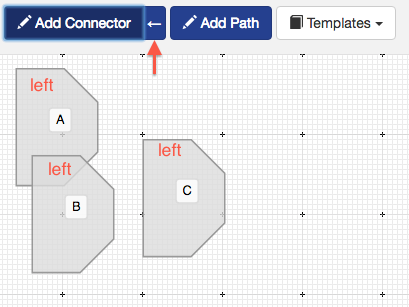 If the button arrow is to the right, all added connectors will be right facing. 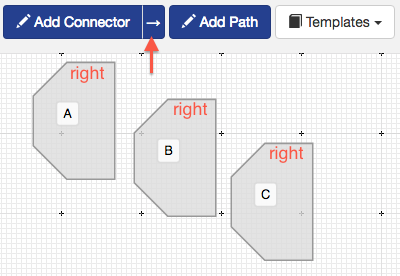 You can change an individual connector direction by clicking the connector and then the button [Turn].